In the most basic terms, a content marketing agency researches, creates, and distributes articles, videos, and images that would be appealing to your target demographic. The idea is that you (1) draw traffic to your website and (2) establish yourself as a trusted/entertaining source in your industry. Our formula combines the client’s story with SEO and social media to produce a content marketing strategy that lets the world know how great their products/services are. Say you’re a credit union that wants to draw in potential customers through a combination of content marketing and social media. If you’re willing to pay for social media advertising, even better. Before you start a campaign, or even research keywords, you need to figure out what your target demographic is searching for on the internet. Since a credit union is a nonprofit-making money cooperative whose members can borrow from pooled deposits at low interest rates, your target market is most likely going to be those who are struggling financially or need to make a larger purchase that is currently beyond their budget. Articles on budgeting, coupon-ing, and money saving hacks would go over well with this target market. By establishing yourself as a trusted source in the realm of financing, you draw in people who are willing to take out a loan from your credit union. They trust that you’re dedicated to educating your borrowers and that you’re upfront about what the actual cost will be. What information do people want? Would I share this with my friend? Does my content provide value? How is my content different from my competitor’s content? Since a good content marketing strategy should result in lead generation, thought leaderships, and brand awareness, it’s imperative to make sharing and further contact as easy as possible. Include a quick blurb at the end of your article about what your company does and how they can get in contact with you. A good content marketing agency will know how to leverage your content traffic to generate revenue for your business. This blog post by Groove goes into how email marketing generated a ton of feedback and traffic to their blog posts. Instead of sending everyone on their email list a link to their post, they asked permission to share an ‘exclusive link’ to the post with them. In this initial point of contact, they give a brief synopsis of the content and ask if ______ is interested in learning more. The key takeaway here is that they understood the value of their content and treated it as just that—valuable. If you whip out a sloppily-written blog every three hours, you might as well be creating no content at all. Make people ask for your content, and then you can be sure that they’ll read it. Though it may be tempting to include a one-line request for social media shares, RESIST. Instead, ask for feedback on the post. This makes users feel more involved your content—they’re providing a service to you in exchange for the service you’re providing them. Not only that, but feedback gives you definitive proof that people are actually reading your content. Expert opinions might even be useful for future posts. Don’t just ask for comments though—respond to them! A great way to compile contacts that might be interested in your content is through social media. Twitter has a ‘list’ feature that allows you to consolidate specific profiles into easily-accessible categories. You can either set these lists as private (for marketing purposes) or public (as resources for other companies). Not only can you view a feed composed entirely of updates from people in lists, but you can also share your list with other users. Besides just getting your content out there, it’s important to make sure you’re targeting the right people. If you just did a blog post on ‘5 Plug-Ins Every Small Business Website Needs’, it makes sense for a content marketing agency to compile a list of local businesses around your area and let them know about your post. This can be done by tweeting to them directly, messaging them on Facebook, or using hashtags that a small business might search for. If you can get an influencer in the industry (ie: local newspaper or magazine) to retweet or share your post, your content has added credibility. Red Bull is an excellent example of how content marketing can be utilized to tap into a target market. Even though Red Bull’s customers aren’t all participants in extreme sports, it’s a universally exciting topic that’s able to draw in the younger crowd that makes up most of their consumer base. YouTube works great as a platform for their high-action videos of racing in Seattle, mountain biking, parachute jumps, and extreme truck racing. On top of videos, Red Bull live-streams high-action events, like music festivals. By utilizing technology like Snapchat, Periscope, and Facebook Live Feeds, you can easily broadcast your content to invested watchers. If you prefer written content over video, they offer multiple content formats to accommodate your tastes. Their magazine, social media, Tumblr and blogs have got you covered. If you’re a larger company that has the resources to run content marketing campaigns on multiple platforms, this might be an option to bring up with your content marketing agency. 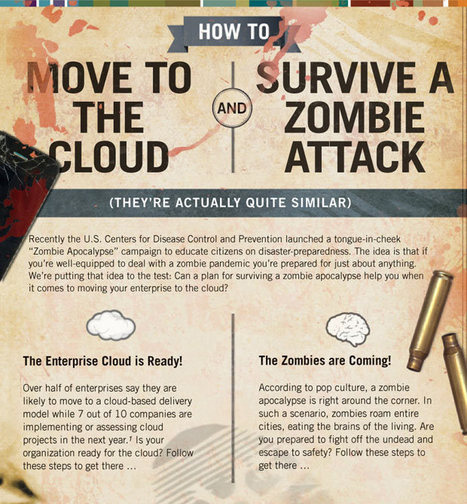 Other great examples of how a content marketing agency can really bolster your sales is SunGard’s Cloud offerings campaign that was, of all things, zombie themed. They chose a topic that interests their target audience: IT professionals. As a result, they exceeded download rates by 300% and received 20+ new leads. Optum was able to generate even more revenue with advertorials, display ads, email, direct mail, and a campaign website. Their campaign to support the launch of a new solution, support sales and build thought leadership increased their website traffic by 475% and drew 2,500+ resource downloads. Perhaps the most impressive of all is Xerox’s ‘Get Optimistic’ campaign which revolved around a magazine that offered relevant business tips. They connected with 30 top accounts and partnered with Forbes for this large-scale venture, resulting in $1.3 billion in pipeline revenue. There were 20,000 new contacts and 1,000 scheduled appointments thanks to this content marketing campaign. This step-by-step guide to content marketing lays out how old-school marketing tactics are being reworked into today’s market. The most interesting one? Soap operas. These housewife-targeted shows got their name because of the dramatic nature of the plots (like operas) and the soap ads that were run during commercial breaks. 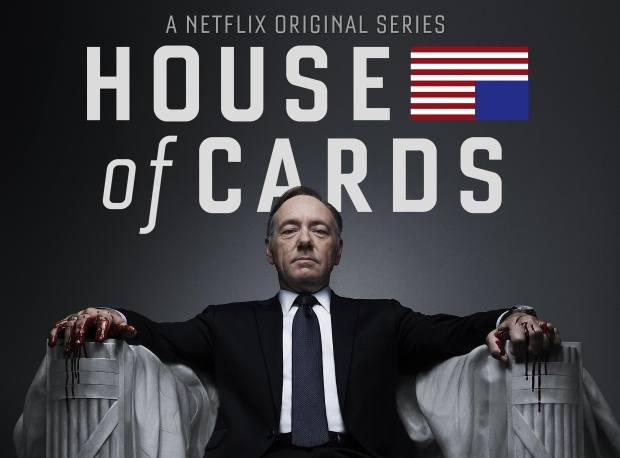 They used cliffhangers and pure, shameless drama to keep people coming back for more, similar to how Netflix has used their self-produced mini-series (ie: House of Cards) to draw in even more monthly subscribers. This is a form of content marketing where the content they’re producing is essentially the same as the services they provide. Say you’re a company that focuses on sharing news and information—like Facebook. What if Facebook were to open their own news subsidiary, where reporters and writers hired by Facebook were charged with writing daily articles on National news? This would be a form of content marketing that a content marketing agency could help you with. You know who we would have never guessed would have an LOL-worthy blog? Denny’s. 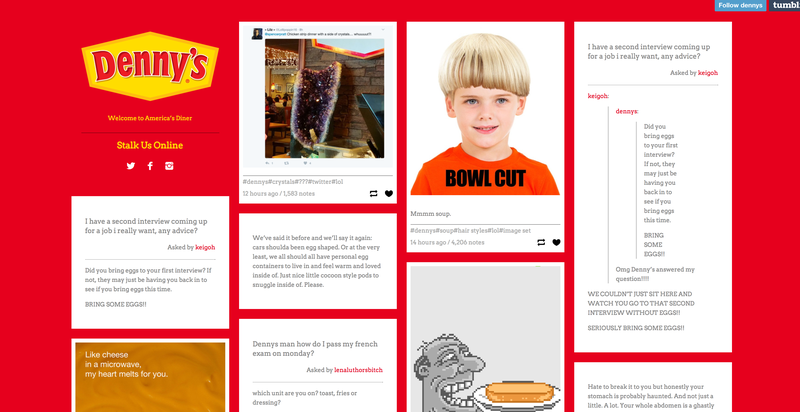 The breakfast chain that’s captured the hearts of millions of senior citizens and (we assume) doesn’t stay open past 7pm, has managed to create a blog with humor that’s actually relevant to their product. Posts include such topics such as potato skinny jeans, cheeodroants (that’s right—cheese flavored deodorant), and a giant mushroom umbrella. They’re hosted through Tumblr, so you can follow and ‘note’ their posts to share with friends. The best part though? You can submit content, contributing to their library of hilarious memes, haikus, etc. and giving them a break from producing. With pop culture references at the ready and relevant jokes that play off current topics like Shark Week, the brand has made a huge impact in the social media world. Though they haven’t managed to calculate the revenue that’s been generated from their efforts, they truly believe that social has boosted their brand health. Their numbers have double on Twitter and tripled on Tumblr in the past year, indicating that the brand must be doing something right. Give users something to laugh at, and don’t cram your logo in their face for the sake of a cheap pancake sale. A content marketing agency can help you achieve relevance without sending up marketing ploy red flags. We’ve all seen the videos with the catchy headline ‘watch this video and try not to cry’, but a brand that’s really taken the cheese out of emotional content is Lyft. With uplifting driver stories like this one from a former pastor in Denver, you can’t help but feel more connected to the people behind the wheel. By embodying a ‘Humans of New York’-esque format, they’re able to feature one driver in each blog post and showcase the people who make Lyft operations possible. Their stories make you feel like you’re a part of something bigger. Since each city that Lyft operates in has its own affiliated Twitter page, it’s easy to share reactions to one of their blog posts. The best part of this tactic is that it evokes emotion without actually making the user sad. Unlike the 9’o clock news, your content can showcase the positivity in the world around you. This project undertaken in the North Kansas City School District was meant to show how much students mean to their teachers, and how important it is to tell people that you appreciate them. The tear-jerking video may not have been a marketing tactic, but it does make you realize how awesome student-teacher relationships can be. What was so great about this video was that it felt authentic—the teachers filmed it themselves and nothing felt scripted. A positive message almost always does the trick—just ask Coca Cola. We want to be your go-to content marketing agency. Contact us for more information on what content marketing is and how we can help you get started on your own campaign.